1. Why do you need a brand identity? 2. What makes a brand identity? A brand identity is a visual representation of your company. It must have the potential to reach customers’ minds by sending a strong, meaningful message about your business. Crafting a visually winning corporate identity might seem like a daunting task that requires deep thinking. When building a corporate identity for their brand, businesspeople make some common mistakes. While some chase the latest trends, others ignore the importance of creating a one-of-a-kind visual language. Blindly following trends may result in an inappropriate, random style that has nothing to do with your business. It may cost you a fortune and bring no value to your brand. Start by defining the special qualities of your products or services you’d like to emphasize through your branding. Keep these qualities in mind when choosing the right color, font, etc. for your corporate designs. As for the second common misconception, some businesses think that branding is something only big companies need. This could not be further from the truth. A smart corporate identity can make any company look more solid and respectable in the eyes of potential clients and business partners. Luckily, business owners can benefit from an abundance of online tools, such as Logaster. Creating an effective visual representation is something any brand can now afford. 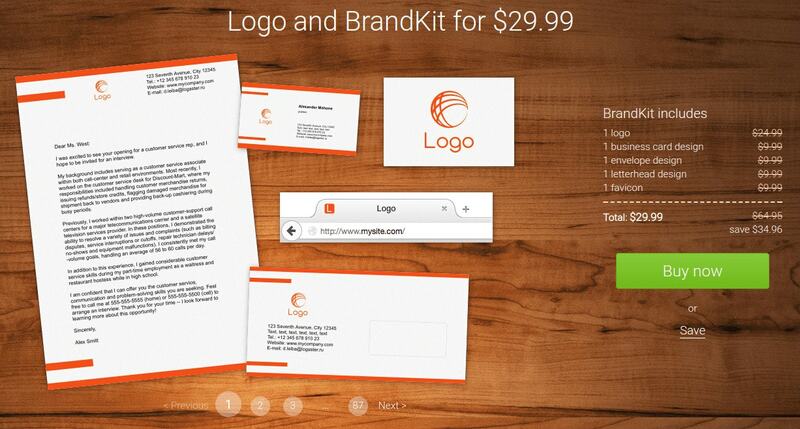 Logaster is an all-in-one online tool to create logos and other corporate designs. The best part about using Logaster is that you don’t need design skills to craft a powerful brand identity. Develops a visual language. A strong visual language enhances your brand recognition and boosts your reputation in the industry. Evokes associations with your company. Elements of your corporate style evoke direct associations with your business. Sets you apart from the competition. Branding can be a powerful tool to distinguish your products and services from those that other companies offer. Your corporate identity includes an array of designs, from your logo to company documents. When looking for the best palette to capture the essence of your brand, learn how different colors affect human perception. To make the best choice, be sure to read more on the topic. Text components, such as a brand name and slogan, aim to characterize your business in a smart and concise way. Make sure your name and slogan contain only essential information about your company. Font is another thing you don’t want to get wrong. Read here on how to pick a font that will be in sync with your business. A logo is a graphic or piece of text that builds your visual image and draws customers’ attention. It is also the most informative and concise element of your company’s personality. Your company’s icon appears on all your corporate designs, making your products easily identifiable. Corporate stationery – business cards, letterheads, favicons, envelopes, and more – feature other elements of your brand identity. Neat and coherent corporate stationery makes your business look reliable and substantial. It’s no secret that a visual brand identity starts with a logo. It’s a fundamental element other designs rely on. There are several ways to design an icon. Using an online logo maker is an easy, fast, and affordable solution. On the Logaster website, click “Create Logo” to launch a four-step logo-making process. Enter your company name and slogan, if any. Select your industry from the drop-down menu to allow Logaster to filter out options that have nothing to do with your line of work. Click “Next” to proceed. Logaster offers ready-to-use icons. However, if you don’t like the size, color, font, or arrangement of the elements, you can easily change them by clicking “Edit Logo.” Once you’re happy with the result, proceed to the next step. Save your logo. To keep it and other designs securely in one place, we recommend that you create an account with Logaster. Now you can read our guidelines on how to use your freshly designed icon or see how your logo will look on your promotional items. 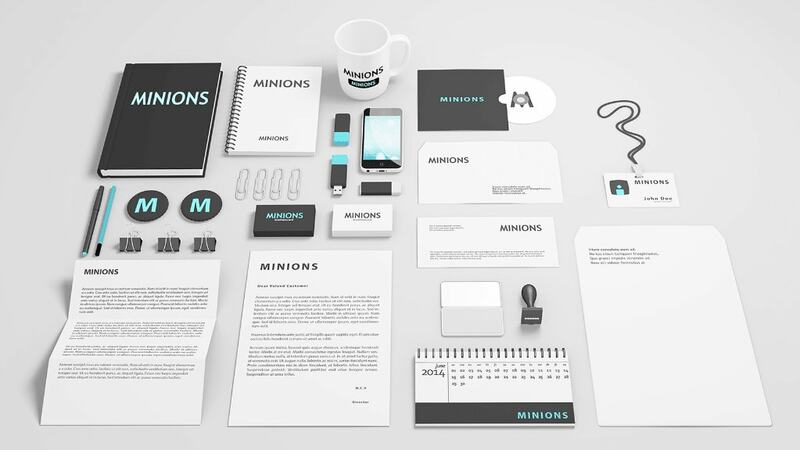 A brand kit is a set of corporate designs that includes a logo, business card, letterhead, envelope, and favicon. On the page with your newly created icon, you can see automatically generated designs with your icon on them. To see other templates, go to the brand kit constructor. Here you will find more options to purchase or save. Plus, you can custom design any item from scratch. To do this, simply hit “Create” in the upper left corner of the page. Unique visual branding is a smart way to distinguish your business from competitors. Logaster is at the forefront of design programs that guide your efforts in crafting a winning corporate identity. « How to Make a Business Card online?